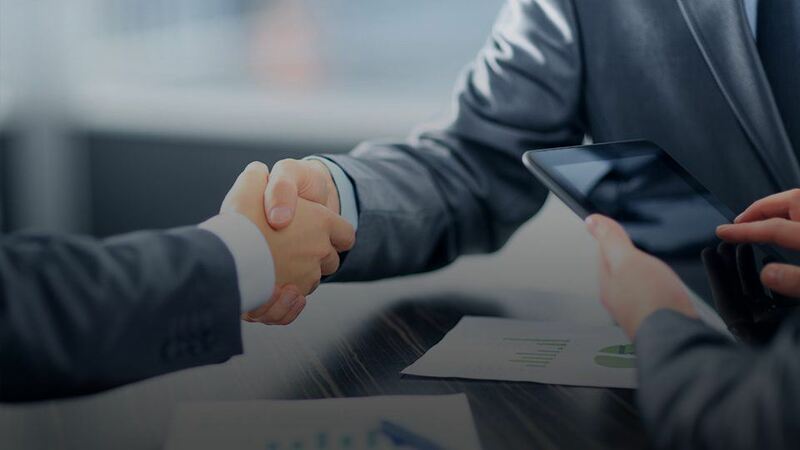 Close deals faster and watch your win rate soar! Sell your product before ever meeting your target. 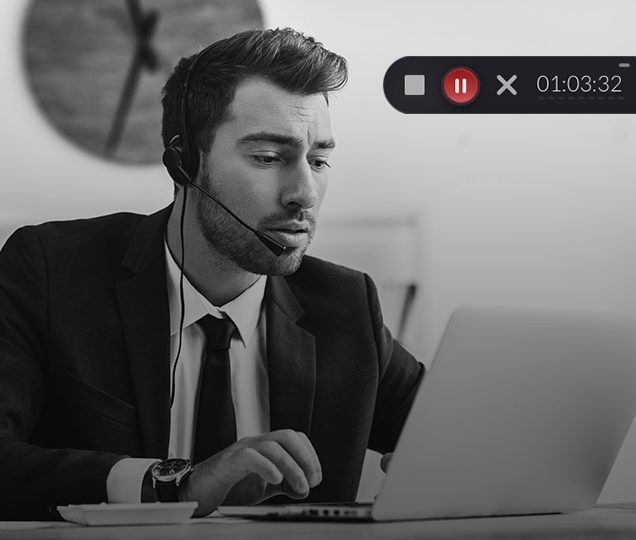 With hyper-personalized sales videos, you’ll fill your pipeline and lower deal closing times—video drives faster sales cycles and bigger deals. Get ready for record sales with video. Get people’s attention fast. 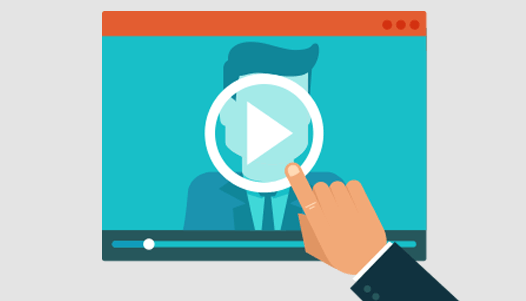 Video messages can increase email click-through rates by as much as 300%. 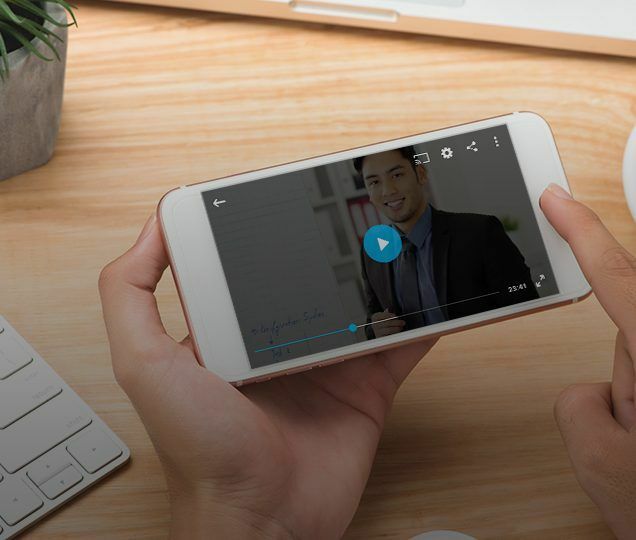 Easy capture and a mobile-friendly video player make it simple to create hyper-personalized video introductions that will skyrocket your conversion rate. Personal interaction, at scale. Boost sales efficiency using granular analytics to track who actually engages with your sales videos, and you can focus on your hottest prospects…while they’re still hot. Take your demonstrations to the next level. Easily create video sales pitches that show exactly how you’re going to solve specific problems—even from the field! Follow up on meetings with personalized video messages that not only offer thanks but reiterate your key points. You can even save a pitch that went astray with an on-point follow up! With recordings that can be shared, keep selling even after you’ve left the building. 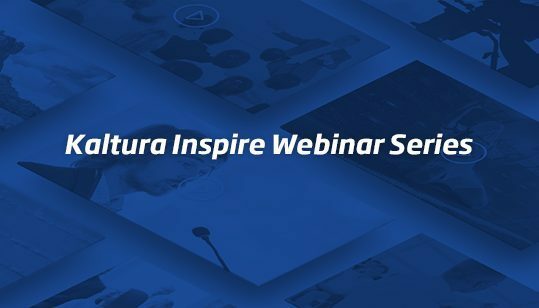 Build a video collaboration space with your prospects and skip the tedious email chains. 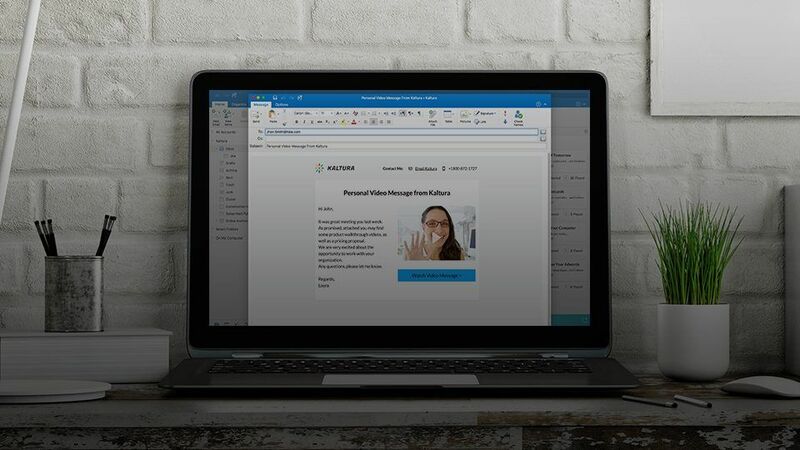 Video sales enablement tools help you provide fast answers, share relevant collateral, and keep the sales pipeline moving from lead conversion to deal closing. 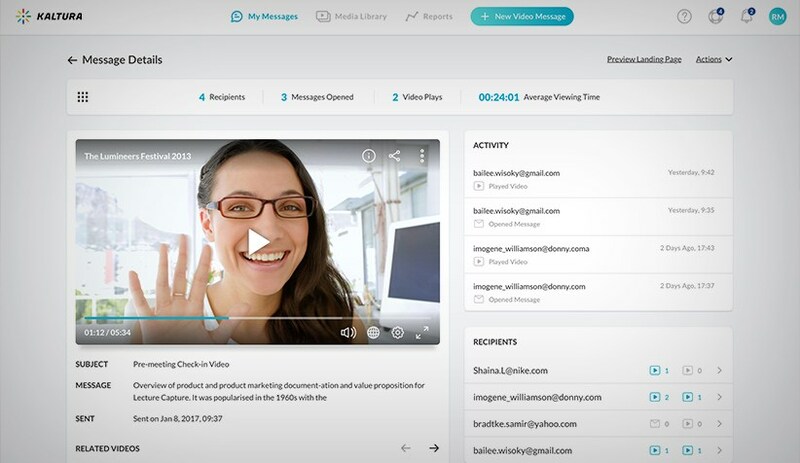 Quickly and easily create personalized video messages, on mobile or desktop. 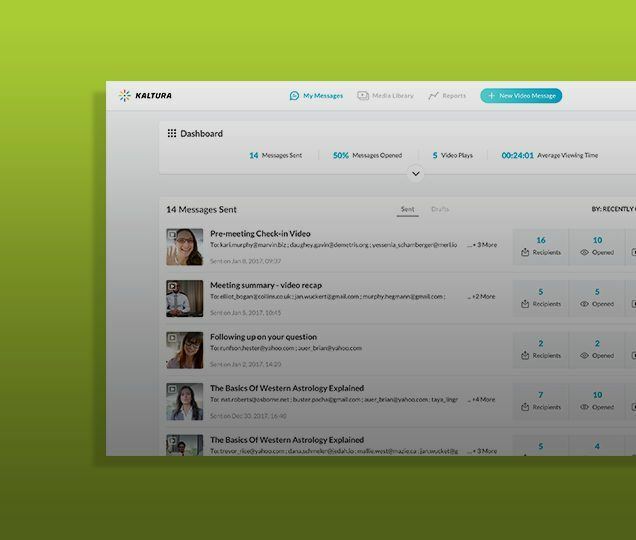 Track video engagement and get notifications whenever a recipient watches your video. Boost sales efficiency and deal velocity with video.